Next week, my son graduates from senior kindergarten. I'm not sure I'm quite prepared to accept that but I will, without a doubt, be prepared with my camera on hand to preserve the memories of his special day. In the meantime, as a Hallmark Press Pause Blogger Panelist, I wanted to share with you some graduation gift ideas from Hallmark. Read on and you will find a little giveaway for you, too! 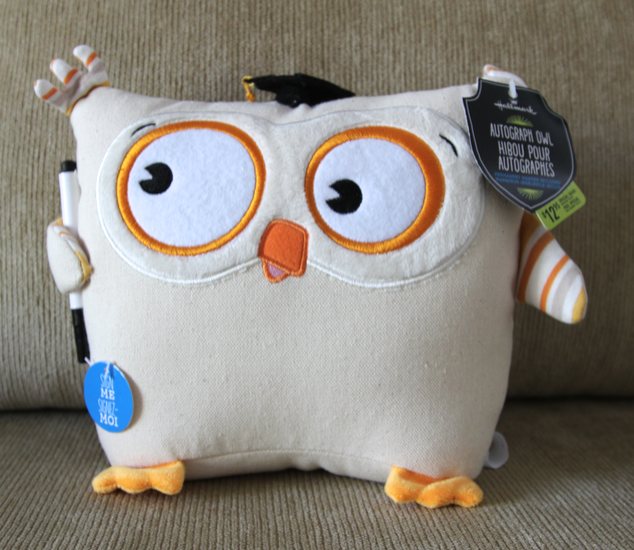 Family, friends and fellow students can add meaningful messages to this adorable fabric owl. Add a signature, well-wishes or a special memory that the grad will love reading well after the festivities are over. With this ‘2014’ display board album, you can protect the moments that matter most. It will look great on a coffee table or in the study and allows you to feature your favourite photos. Includes a sticker page for customization. A sophisticated white porcelain sculpture of a lock is a lovely keepsake to commemorate the milestone. 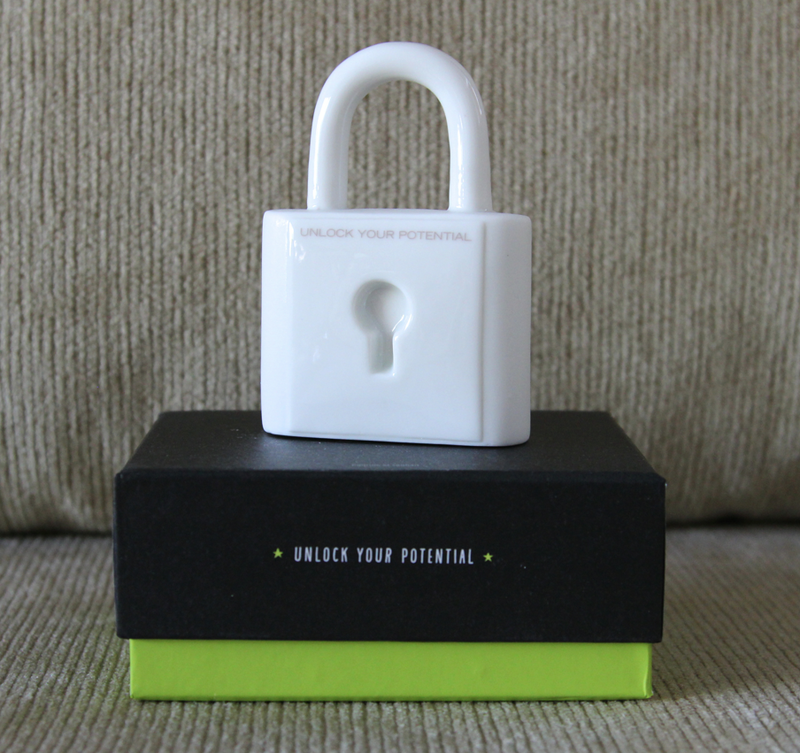 It features motivating words (“Unlock your potential”) and will nicely complement your bookshelf, desk or bedside table. Also available: graduation cap (“Wear your success proudly”), typewriter (“Write your own story”), airplane (“Let your dreams soar”), or light bulb (“It’s your time to shine”). 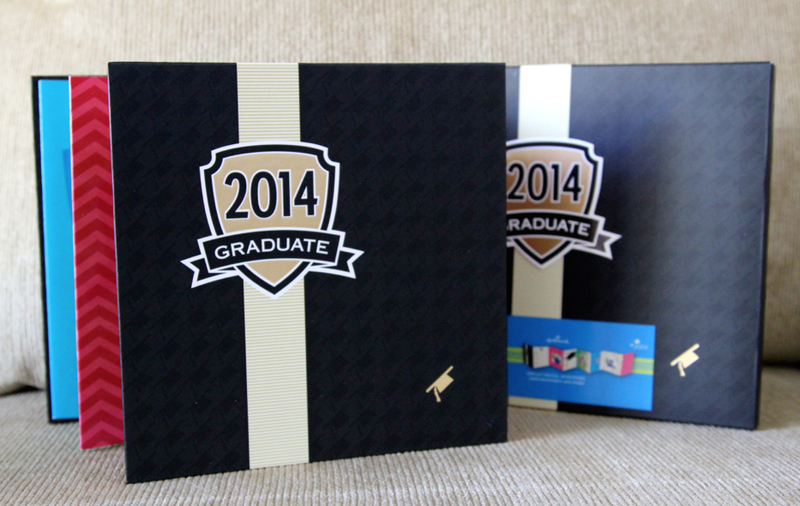 Remember the momentous occasion with a one-of-a-kind, customizable “2014” die-cut frame. 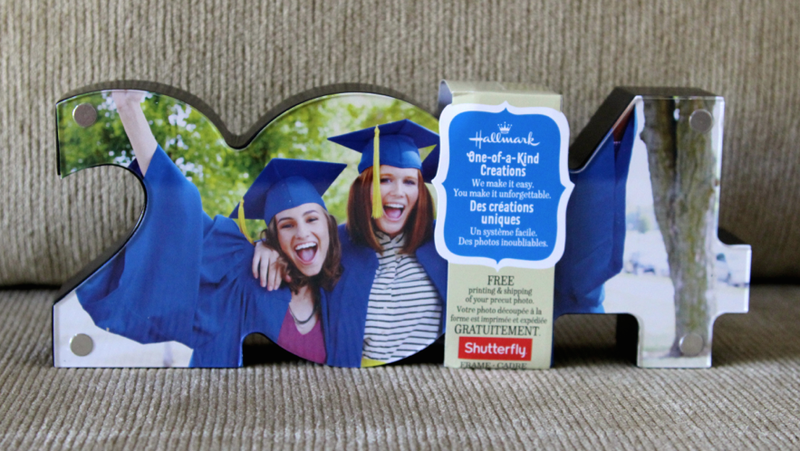 And thanks to Shutterfly, you can easily display a precut photo and enjoy free printing and shipping! Want to win a 2014 frame of your own? Disclosure: I was sent product from Hallmark Canada as part of their Hallmark Press Pause Blogger Panel to help facilitate this review. All opinions expressed are my own and have not been influenced in any way. I give something personally tailored to the person, and a nice picture frame, to remember the milestone and moments! Engraved jewellery, watch or bracelet. I saw really cute grad gift cards at Starbucks - pretty nice gift since its so expensive and grads like to be well-caffeinated. For those graduating from high school I usually give a Visa gift card then they can spend the money on something they need for university. I also include a nice frame to put a picture of the special event in. I usually give money to grads. My go to grad gift is always something from Hallmark! I only had to buy for 1 graduation so far, she got a frame from Hallmark as well as a daughter's pride ring. Frames or cash. Thanks for hosting. I'd enter to win, but we have no 2014 graduates . . . next year. My daughter is graduating from Grade 8 and my son from High School this year. I still have no idea what to give them, but now I know that I want to head to my local Hallmark store to see what will be best for each of them. Thanks! It's usually money in a card.